Instead of scrounging for wide-mouthed jars to hold my ever-growing collection of pens, I decided to make something more fun and colorful! 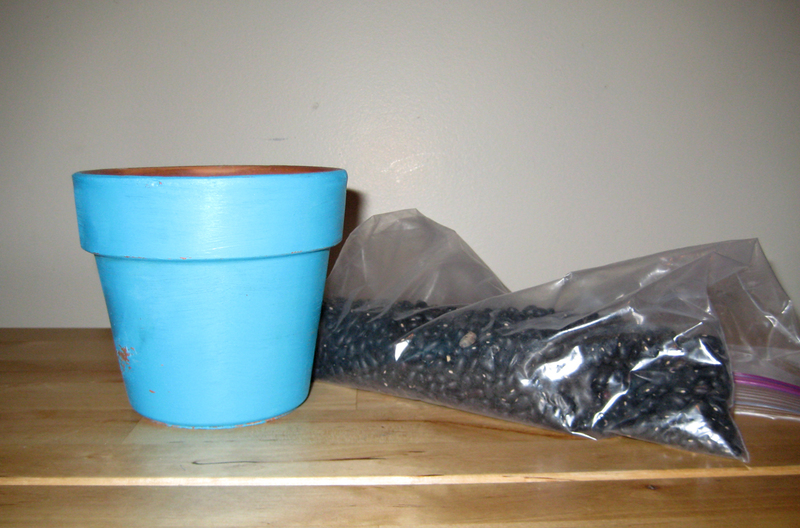 All it takes is a flowerpot (I painted mine blue), dried beans and a piece of tape. When you get started, don’t forget to put tape in the bottom so the beans don’t fall out when you pick it up! Pour the beans into the pot but don’t fill it all the way to the brim as the level of the beans rises with every pen that’s put in. I left about an inch and half because I have a lot of pens. 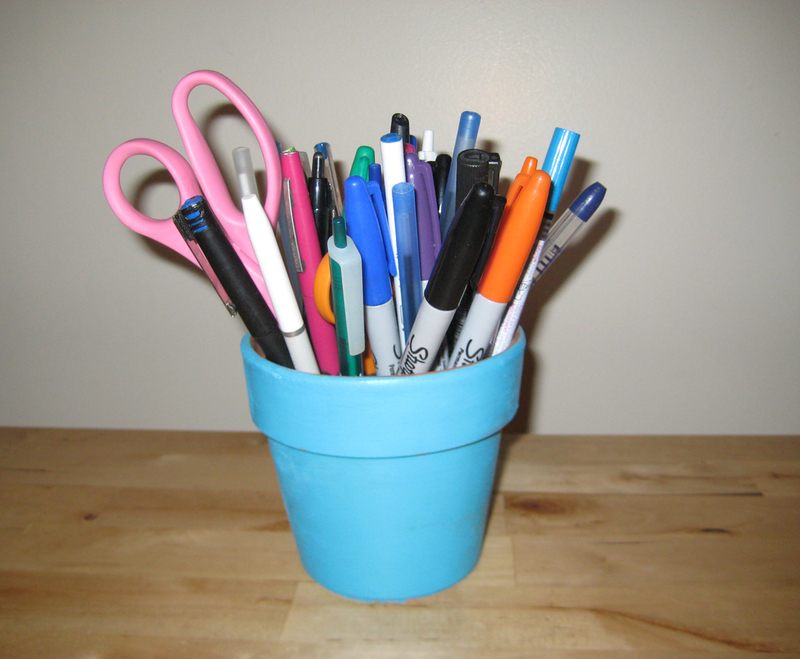 Then fill it up and et voilà, you have a pretty pen pot for your desk! 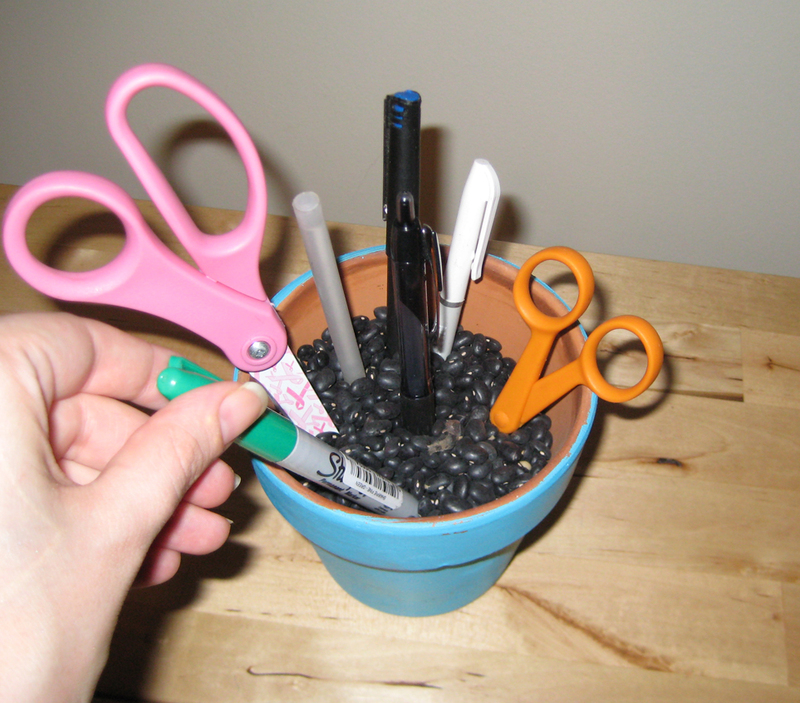 I also used this flowerpot for holding knives in our kitchen before we got our magnetic strip. It’s a multitasker! Liked this? Share with your friends! This entry was posted on September 5, 2010 at 6:28 pm and is filed under et voila!, majestic domestic. You can follow any responses to this entry through the RSS 2.0 feed. You can leave a response, or trackback from your own site. Very clever. I’ll have to make one. It’s the perfect kind of decor for me. I’ve seen this at your apartment and it’s a really good idea… I have a reversely similar idea (if that makes any sense) to use honey bear bottles as tiny flower pots. Probably will do this in my new place. Anyways… your stuff is always very cool looking. 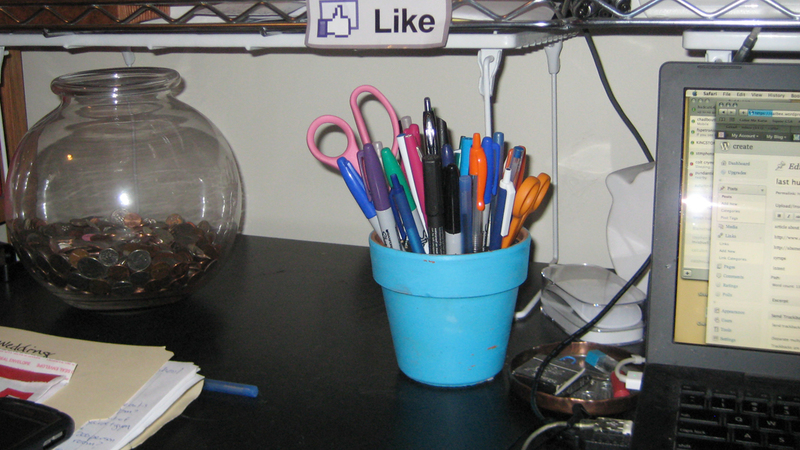 And you workspace is not messy … puh-lease! honey bear bottles sound cute!